Dec 22 - Update: Big Island of Hawaii Bans Plastic Bags—Is Oahu Next? Yesterday afternoon the Hawaii County Council passed Bill 17, banning plastic bags from stores in the County. Watch a news clip here. According to this article, Mayor Billy Kenoi has 10 days to sign the bill, which would then go into effect one year later. The mayor has not yet indicated a position on the bill. In 2008, a plastic bag ordinance was passed by council but vetoed by the acting mayor. Tell the Mayor you want clean beaches in Hawaii County—take action and ask him to sign the bill here. If signed into law, Hawaii County joins Maui and Kauai Counties with similar bag laws, leaving Honolulu County as the last county in the state without an ordinance on plastic bags. A statewide initiative to charge ten cents per plastic bag died in the Hawaii legislature during the last session. But with plastic bags threatening Hawaii’s ocean-based economy, we fully expect to see future initiatives to be introduced in both Honolulu County and the state legislature. See other take actions on plastic bag ordinances here. 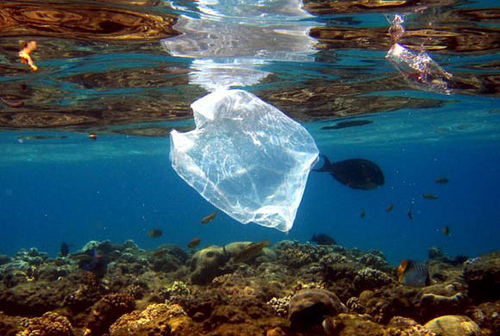 To support our work on plastic bag pollution, make a tax deductible donation on our website.